The Argentine set his fastest time in his Honda Civic Type R during the afternoon session, a 1m54.531s which was some two tenths quicker than he went in the morning. Guerrieri, who was second to teammate Nestor Girolami in the morning, racked up 25 laps over the course of the day, ending up a full three tenths faster than his compatriot. Jean-Karl Vernay was third-quickest in his Team WRT Audi RS3 LMS, ahead of Team Mulsanne's Kevin Ceccon, who caused an early end to the afternoon session after stopping his Alfa Romeo Giulietta out on track. 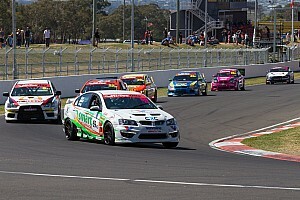 Vernay's Audi teammate Gordon Shedden finished fifth, while Ceccon's Alfa stablemate Ma Qing Hua ended up ninth. 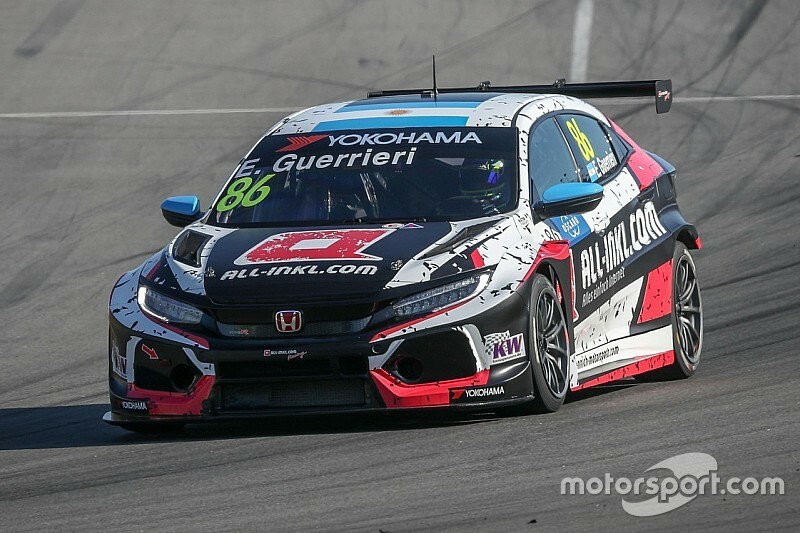 WTCR rookies Niels Langeveld (Comtoyou Audi) and Attila Tassi (KCMG Honda) were sixth and seventh respectively, with Dutchman Langeveld 1.394s off Guerrieri's final benchmark. Rob Huff was the best of the Volkswagen Golf GTIs with the eighth-quickest time for Sebastien Loeb Racing. Tom Coronel, Mehdi Bennani and Benjamin Leuchter were next up. 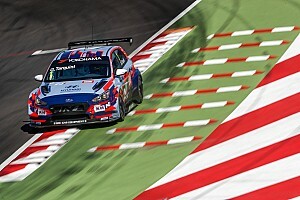 Reigning WTCR champion Gabriele Tarquini was 14th quickest with a best time of 1m56.728s, set during the morning's running, while teammate Norbert Michelisz was 16th. The remaining two BRC Racing drivers Augusto Farfus and Nicky Catsburg were absent due to other racing commitments with BMW. Swedish newcomers Lynk & Co and PWR Racing had a quiet day, with TCR Europe champion Mikel Azcona finishing highest for the latter in 17th place. Yann Ehrlacher was the best of the Lynk & Co 03s two places further back, with 2017 WTCC champion Thed Bjork 22nd.